Hu Jiang Quan is a not so typical candidate, running in a not so typical election. We meet on a rainy afternoon at the gate of his university in Hangzhou, a city just outside of Shanghai in eastern China. “Sorry,” he says. “I just woke up. Yesterday was my birthday and I got extremely drunk.” The now 21-year-old student of Marketing walks us to the cafeteria. He’s wearing wide, purple pajama pants and a sloppy shirt - a not very typical outfit for a politician facing an election. Hu wants to get a seat in the district parliament as an independent candidate. 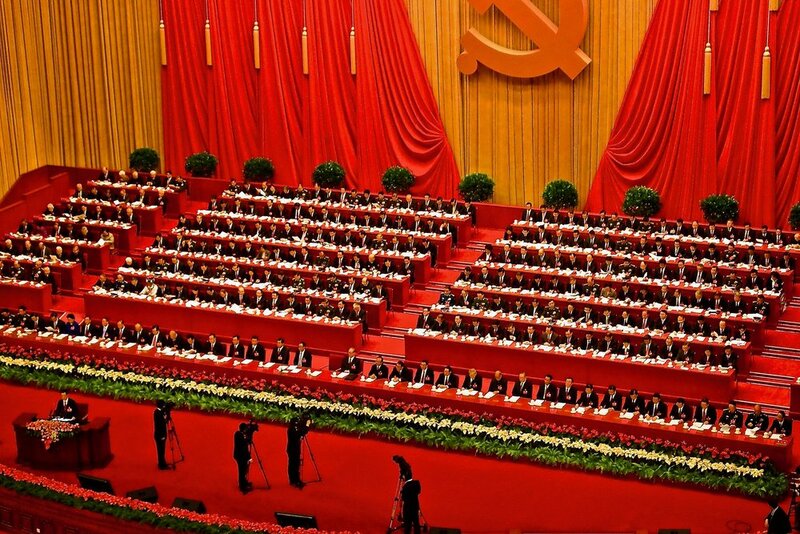 For close to 70 years now, China is ruled by a Communist Party with an iron stronghold on power. It is only at the lowest levels of government, city districts and villages, where the nation’s constitution allows for direct elections. Over two million representatives are elected in two thousand city districts and thirty thousand villages. Until now, these elections passed with hardly anyone noticing. Candidates and voters alike were vetted by local governments, which used Communist Party guidelines to make their selections. But this time, it's different. All over the country, hundreds of citizens are running as independent candidates, just like Hu. Using social media, they run campaigns directly aimed at their constituencies. They refuse to obey tradition, choosing direct communication on issues over the dogged path of a slow and uncertain rise within Party ranks. 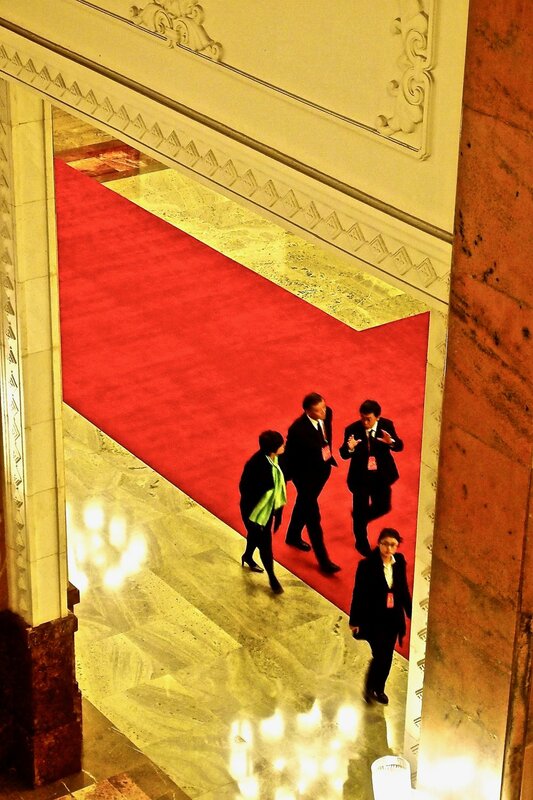 Even though they’re a tiny group, the independents managed to hit an open nerve in Beijing. Hu is hungover. That doesn't mean he’s less certain about what he wants. The words just come out a bit slower. 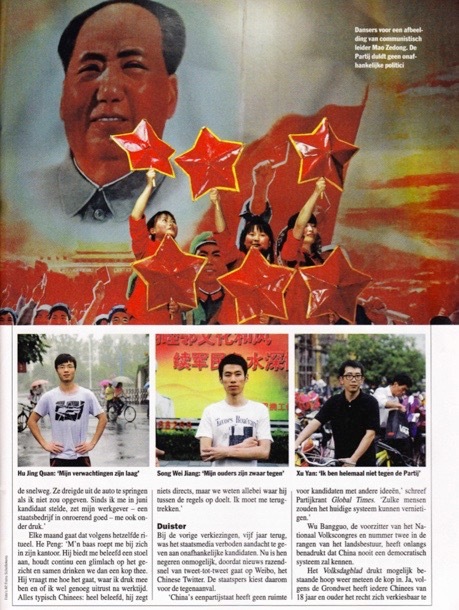 Two hundred kilometers north of Hangzhou, in the city of Changzhou, He Peng (28) shares Hu's hopes. He is one of the most popular independent candidates in Jiangsu province. He leads the way into a private room in a restaurant far from downtown. Even here he’s on edge. Running for office has given him quite some trouble even before he decided to talk to a foreign journalist about it. He works at a state owned real estate company. His employer is also pressuring him to quit campaigning. “There is no room for people with different ideas. During previous local elections in China, local media were not allowed to cover the candidates who were running independent from the Communist Party. Nowadays it is impossible to ignore this group because news about them spreads at the speed of light through social media. It leaves state controlled media with no other choice than to start a counter attack against the independent candidates. Party leaders emphasize again and again that China will never have a democratic system. In other words: Party leaders can keep anyone off the ballot without reason or opportunity for appeal. The authorities are also not too eager to inform either candidates or voters on the exact date of elections. In some cases, they are not announced until just a few days before. The government of the southern province of Jiangxi has pushed it the furthest to drive home the message that active participation in local elections is legally allowed yet very much unwanted. They forced independent candidates to give up by arresting, physically hurting and intimidating their supporters. Xu Yan's phone never stops beeping. Xu himself, a 27-year-old sales executive, is determined to go on and get elected as an independent in his Hangzhou city district. Not that he doesn’t have problems. The government has threatened his employer with a visit from tax inspectors who will be sure to find whatever it takes to hit the company with a big fine. As with all the other independent candidates I met for this story, Xu emphasizes he is not campaigning against the Communist Party as such. Early in his campaign, he went door to door to introduce himself to the people in his district. Officials wasted no time in telling him to stop. Now Xu posts weekly videos to get his platform across. You have to sit through a KFC-commercial first, but then Xu starts explaining his platform. This feature has been published by Dutch magazine Elsevier. None of the independent candidates call for a radical and immediate end to the Communist Party's decades old grip on power. That doesn’t stop that Party to come down on them as if it is being threatened to its very core. Like when twelve independent candidates wanted to get together on in the Beijing house of one of them, the 65-year old Wang Xiuzhen. They found police and guards and a dozen old ladies on their way. They were 'coincidentally' blocking the small alley towards Wang's front door, making it impossible for the group to convene in the house. Zhang's reasons to run: it has to be made easier to switch energy provider and there should be better care for elderly people who are lonely. Another candidate, Yang Lingyun (40), is campaigning for office because she wants the local government to do a better job cleaning rubbish from the streets. Liu Ping (47) in Jiangxi wants to get into government to get local employers to respect the existing labor laws. He Peng wonders if he can keep up the fight. “It means risking everything,” he says in the Changzhou restaurant’s private room. “If one message is clear from those cups of tea with my boss it is this: if I continue running, I will lose my job and no employer in town will hire me ever again. My wife is pregnant. How am I supposed to care for my family if I'm unemployed?